A computer in my lab died or was stolen. As the account manager, how can I retrieve the SnapGene license for use on another computer? For this procedure, you must be the account manager for the SnapGene licenses. 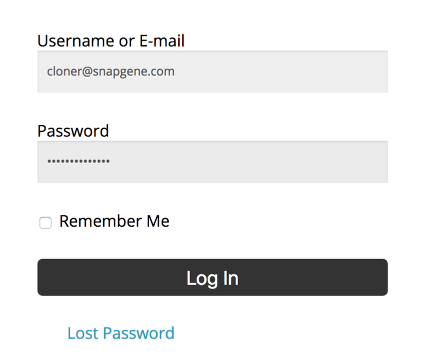 Go to snapgene.com, and click on the "Manage My Account" link in the upper right corner. Enter the email address and password for the account manager. The original password was sent in an email immediately after purchase. If you have lost the password, click the triangle to show controls for obtaining a new password by email. On the account page, click the "Active Licenses" plus to show the SnapGene licenses in use by your group. To deactivate a license, press the Deactivate button next to the name of the relevant computer. 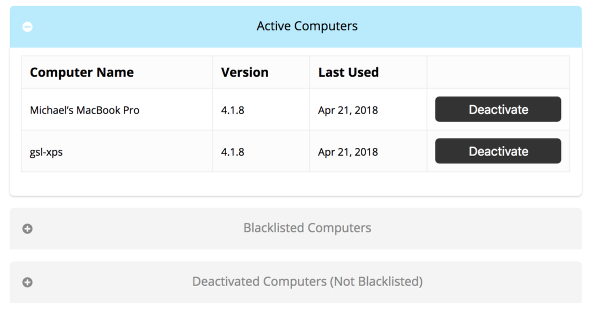 The computer will no longer be listed in the Active Computers list, but instead will be listed in the Blacklisted Computers list. 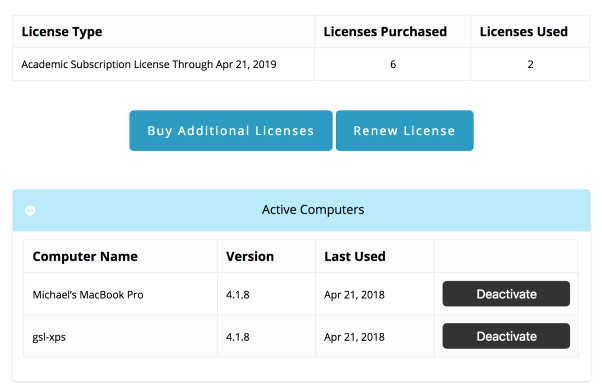 The released license will be immediately available for use on another computer. When you are finished, mouse-over the group name in the upper right corner and click "Logout". 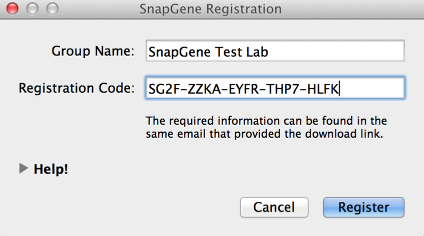 On the new computer, download and register SnapGene (see the "Download and Register SnapGene" lesson).